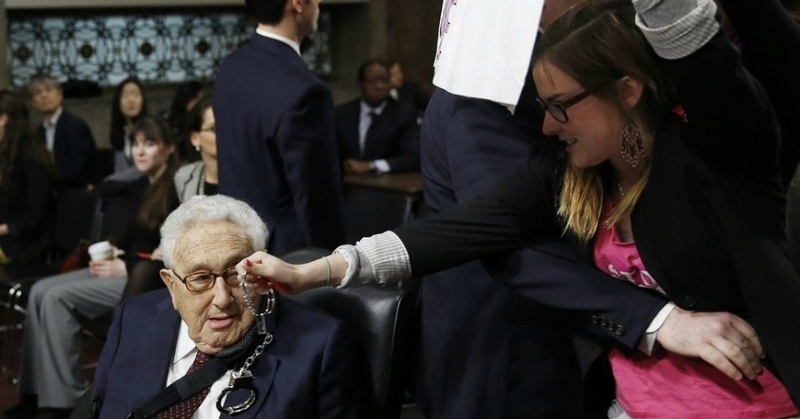 Rather than calling peaceful protesters “despicable”, perhaps Senator McCain should have used that term to describe Kissinger’s role in the brutal 1975 Indonesian invasion of East Timor, which took place just hours after Kissinger and President Ford visited Indonesia. They had given the Indonesian strongman the US green light—and the weapons—for an invasion that led to a 25-year occupation in which over 100,000 soldiers and civilians were killed or starved to death. The UN’s Commission for Reception, Truth and Reconciliation in East Timor (CAVR) stated that U.S. “political and military support were fundamental to the Indonesian invasion and occupation” of East Timor. 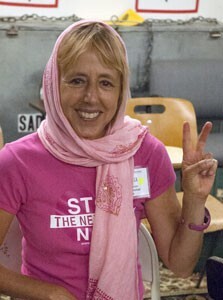 Medea Benjamin, cofounder of Global Exchange and CODEPINK: Women for Peace, is the author of Drone Warfare: Killing by Remote Control. Her previous books include Don’t Be Afraid Gringo: A Honduran Woman Speaks from the Heart, and (with Jodie Evans) Stop the Next War Now (Inner Ocean Action Guide).